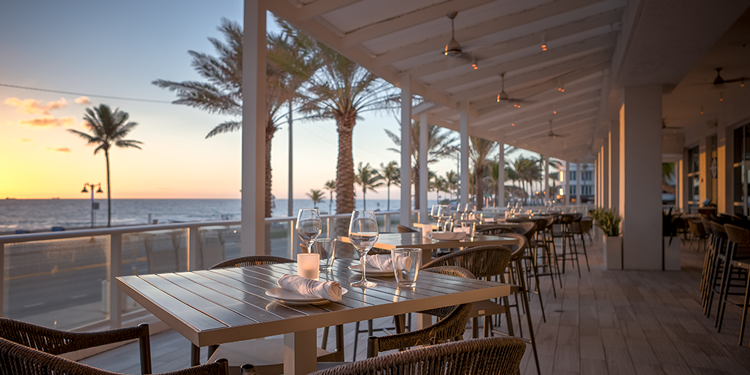 Among its many alluring qualities, Fort Lauderdale has an impressive dining scene, including a vast selection of seafood and steakhouse options, both casual and upscale restaurants, restaurants with views, vegan and vegetarian spots, and much more. The culinary world of Fort Lauderdale is consistently evolving, with a number of exciting eateries opening their doors each year. Take a look at the most recent Fort Lauderdale restaurant additions, from waterfront bistros to rooftop bars and everything in between. Nestled in the Conrad Hotel along the ocean, Terra Mare is an upscale eatery serving an array of globally inspired dishes in bright and airy surrounds. Take in ocean views from nearly every vantage point in the modern interior or out on the outdoor patio graced with a cool ocean breeze and plenty of shade. Terra Mare goes beyond your typical tapas by encouraging full plate sharing rather than individual bites, highlighting the unique communal dining experience. Whether or not you’re staying at the Riverside, the hotel’s new waterfront dining destination is an excellent choice for lunch or dinner. Take a seat and enjoy breathtaking vistas of the New River while going on a culinary journey with celebrity Chef Toby Joseph. Boaters and diners unite at this exciting eatery serving a sophisticated menu with a variety of tapas, seafood, pizzas, sandwiches, soups, salads and more. Keep in mind that there is no reservation system in place for the Boathouse at the Riverside, which operates on a first-come, first-served basis. 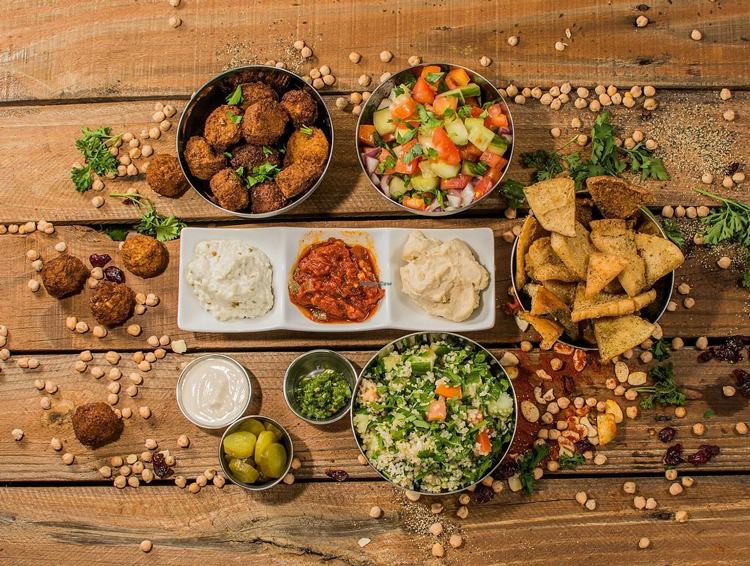 This casual and vibrant eatery in Victoria Park is “meatless and proud,” serving only vegetarian and vegan dishes inspired by authentic Israeli and Middle Eastern cuisine. As can be implied from the restaurant’s name, hummus is the signature ingredient at this counter-serve eatery. This is an excellent source for quick, on-the-go dishes, like falafel, hummus bowls or meatless shawarma pita pockets. Pair your meal at The Hummus House with a refreshing drink, like a frozen limonana or a fruit-infused water. 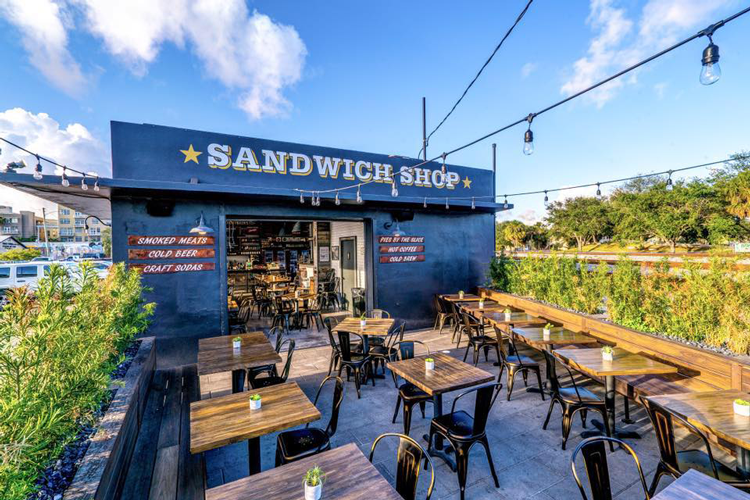 This popular Delray Beach eatery has expanded with a new location in Fort Lauderdale. El Camino is perhaps best known for their unique “Mexican soul food,” including a variety of appetizers, salads, tacos, burritos, quesadillas, enchiladas, fajitas and more. The vast drink selection at El Camino is equally as impressive, whether you’re looking for margaritas and cocktails, beer, wine, tequila or non-alcoholic options. 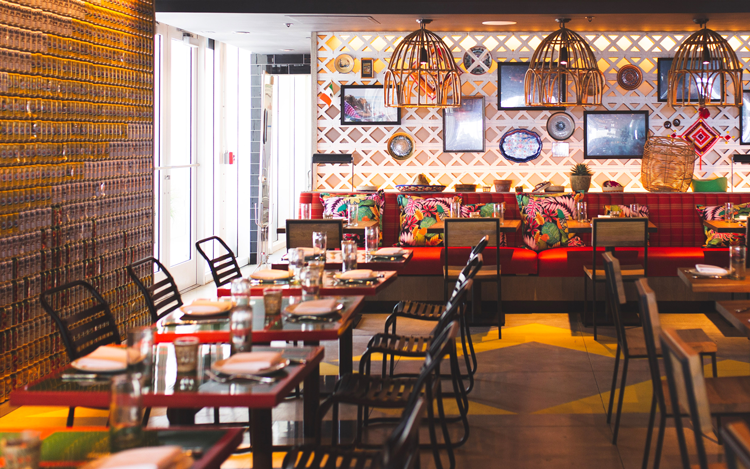 This vibrant eatery is an exciting space to enjoy authentic Mexican fare and drinks, especially during their daily happy hour from 4–7 p.m.! 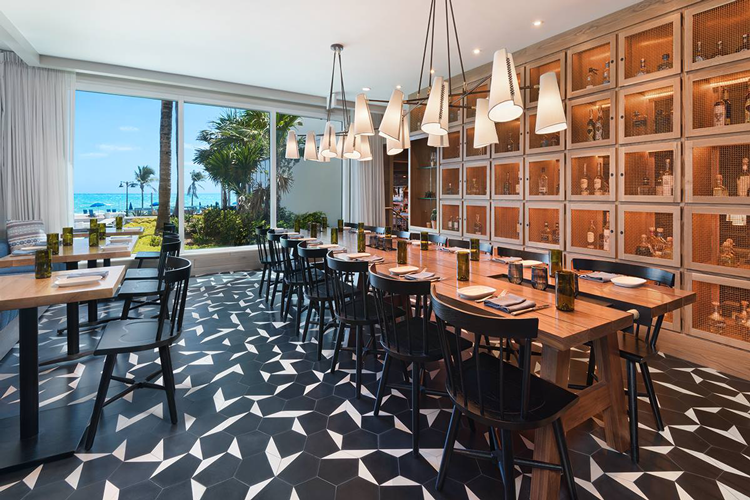 Earlier this year, celebrity chef Pablo Salas brought this casual waterfront cantina to the Westin Fort Lauderdale Beach Hotel. Lona serves a diverse menu, including ceviches, crab-infused guacamole, tostadas, tacos, meat dishes, and other sides. The outdoor patio and bar offers gorgeous views of the Atlantic. Their special bar menu features an array of small plates in addition to agave-centric cocktails, freshly made margaritas, house-made sangrias, Micheladas, and agave flights. This is the ideal setting for taking in beautiful beach views with a refreshing cocktail and tantalizing bites in hand. There’s a brand new brewery in town! Tarpon River Brewing is housed in a spacious restored warehouse in the heart of the city. The venture is a collaboration between Julian and Lisa Siegal of the Riverside Market, Adam Fine of Native Brewing, and TRP CEO Tim Petrillo. 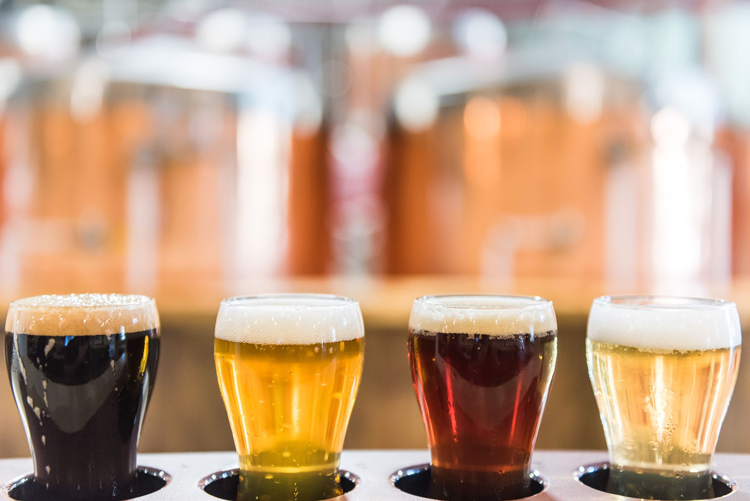 In addition to the 16 rotating taps, which is a given for a brewery, you will find a delicious food menu filled with tasty options to complement your beer. Pick from small bites like a giant pretzel or nachos, order a juicy burger or a hearty sandwich, or opt for a fresh salad instead. Whatever you order, you’ll love the atmosphere at Tarpon River Brewing, complete with a patio lined with turf for various yard games. Red Door Asian Bistro is one of the many restaurants contributing to the “restaurant renaissance” taking place along Las Olas Boulevard. This sushi and hibachi restaurant has an elegant and moody interior, perfectly complemented by a delectable menu. Watch as chefs prepare your meal on the hibachi grill right in front of your eyes with a spectacular and entertaining show. The showmanship, presentation and final product at Red Door are all worth experiencing first-hand! Head to the FATVillage Arts District to discover this creative sandwich shop with an unparalleled outdoor patio space, a rustic industrial interior, and one of the best sandwich selections around. Henry’s Sandwich Station focuses on small-batch, artisanal purveyors, and house-smoked and cured meats. Plus, all bread served on site is prepared by local bakeries. Signature sandwiches range from Montreal-style smoked meat on Zak The Baker Jewish Rye to slow-roasted prime rib, served with a housemade horseradish cream. Their mouth-watering concoctions are the perfect option for a laid-back lunch in this renowned arts district. Visiting The Balcony is an exciting experience. This upscale two-story restaurant has a unique open-air rooftop and balcony overlooking Fort Lauderdale’s trendy Las Olas Boulevard. The vibrant atmosphere, chic design, and delicious menu set this hotspot apart. They serve New Orleans-style cuisine, including tapas-style small plates, in addition to craft cocktails. You will often hear live music playing at The Balcony, enhancing your experience all the more. This brand new addition to Fort Lauderdale’s culinary scene should not be missed. El Vez is the most recent venture by renowned restaurateur Stephen Starr, who also operates Steak 954, which is also located in the W Fort Lauderdale. El Vez showcases classic Mexican fare with an emphasis on baja-style cooking that celebrates the fresh seafood of the South Florida region. The menu includes an array of guacamoles, ceviches and classics such as mahi mahi tacos, grilled prawns and duck mole poblano. Sip on a margarita or play a game on the deck, or retreat to the vibrant interior for a fun and casual meal just steps from the beach. What new Fort Lauderdale restaurants are you excited to try? Let us know what new eateries we should try next. Comment below with suggestions!